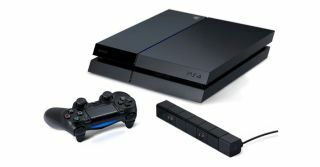 Weekend Wrap: Sony PS4; QED cable; Panasonic TVs and V-Moda headphones | What Hi-Fi? From a new Sony PlayStation 4 console with a bigger hard drive, to V-Moda unveiling some pricey 3D printed headphone shields and QED launching a new interconnect - it's What Hi-Fi? 's Weekend Wrap. Among the many new game announcements from Sony at the E3 games convention in San Francisco, the Japanese company also announced a new 1TB version of the PlayStation 4. Aside from doubling the storage of the current console, it also arrives with a new matte finish instead of the glossy top and some performance tweaks under the hood. It will be available in select European territories from 15th July, with pricing dependent upon the retailer. Headphone manufacturer V-Moda has announced some 3D printed shields for its XS and Crossfade M-100 headphones. The shields are available in a range of materials, including fibre, stainless steel, sterling silver, solid 14 karat gold and even platinum. The price for the shields? They start at $40 and go all the way up to… wait for it… $40,000 for the platinum version. Other colours and materials are expected in the future. Netflix also recognised some performance criteria, including being able to launch Netflix via one push of the Netflix button, switching quickly between apps and the Firefox OS, which makes its debut. Panasonic announced its 2015 range of 4K TVs at CES, which included the company’s first curved sets. QED has unveiled its latest interconnect cable. The Performance 40 is the latest, and final, addition to QED’s ‘phono to phono’ range, which underwent a complete upgrade and redesign to celebrate 40 years in 2013. The cable benefits from QED’s new Anamate phono plugs, which feature “precision, gold-plated, high-purity copper, twin ground leaves and hollow central pin”. QED says these combine to help “maintain the fidelity of the delicate audio signal from start to finish”. The cable is also protected from high frequency interference, thanks to three layers of insolation, including a “floating” ferrite jacket. The QED Performance 40 will be available from July in four lengths: 0.6m (£39.95); 1.0 (£44.95); 2.0m (£54.95); and 3.0m (£64.95).